Emory Healthcare will be recognized for its excellence in employee relations at an awards ceremony on June 20 at the Atlanta Marriott Century Center. 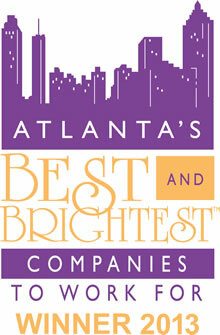 Emory Healthcare has been named one of Atlanta’s Best and Brightest Companies to Work For™ by the National Association for Business Resources (NABR). The award recognizes organizations that excel in several key measures, including: Benefits; employee engagement and retention; employee education and development; communication and shared vision; diversity and inclusion; and work-life balance. As such, being named to this list highlights the fact that Emory Healthcare employees are working together to create a culture and work environment that is supportive to its staff. "Our dedicated professionals and team members are the reasons why our organization is a top place to work," says John Fox, president and CEO of Emory Healthcare. "Every day, they make a powerful difference in the lives of our patients, their families and each other. This is a great achievement for us all." Participating companies go through a rigorous two-part survey process. Step one involves the employer completing a questionnaire and step two entails employees of the company completing an employee engagement survey. By elevating the bar of excellence each year, the NABR program not only makes companies perform better, but makes the region a better place to live and work. Emory Healthcare, with more than 16,000 employees, is the largest and most comprehensive health system in Georgia. In fiscal year 2012, Emory Healthcare had $2.4 billion in annual net revenue and provided $63.5 million in charity care. System-wide, it has 2,061 licensed patient beds.